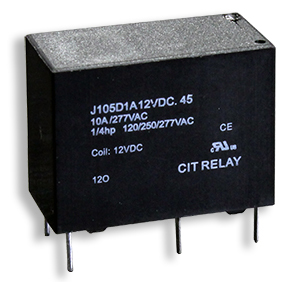 With switching capacity up to 10A, the J105D Series relay offers a small, light-weight package. This small relay features low coil power consumption with high contact load, contact arrangement is 1A or 1C with voltage options from 3VDC up to 24VDC. Coil Power options are .20W or .45W. 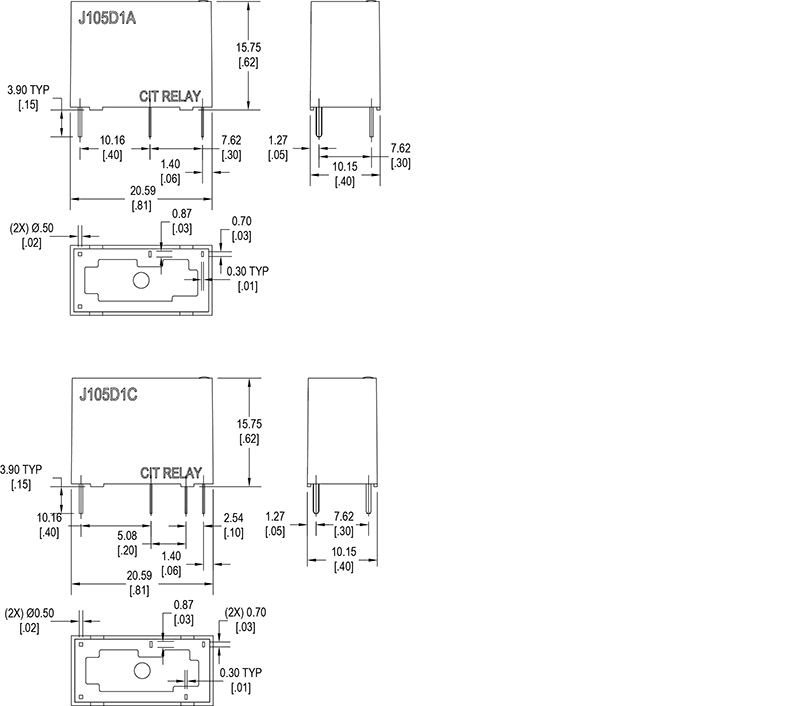 The J105D Series dimensions are 20.59 x 10.15 x 15.75mm. UL Agency approval is E197851.